Happy Babies: Dress-up Fun at Happy Babies this week! 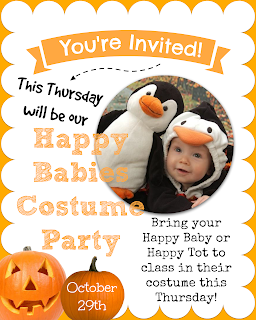 Dress-up Fun at Happy Babies this week! 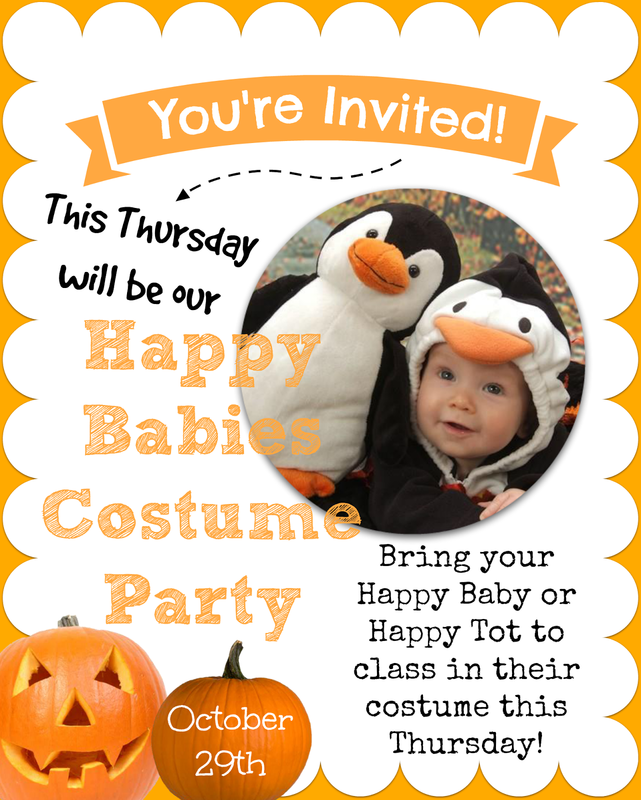 In the spirit of Halloween we will be having a fun dress-up costume party at Happy Babies & Tots class tomorrow! 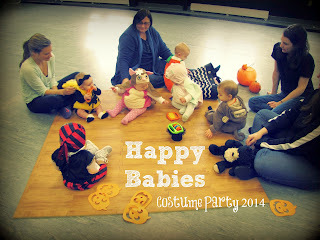 Bring your little one to class dressed up for fun, songs, stories, and play! 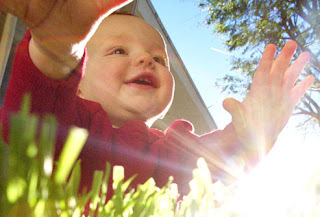 Happy Babies (newborns to prewalkers) meets at 10:00a- 10:30a and Happy Tots (walkers up to 36 months old) meets at 10:45a-11:15a. Even if you haven't been able to come to class yet we'd love for you to join us for our Costume Party!! Sign up by clicking the "Register for Classes" link above or feel free to just drop-in! 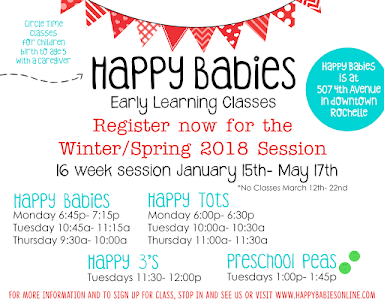 Class drop-in fee is $5. 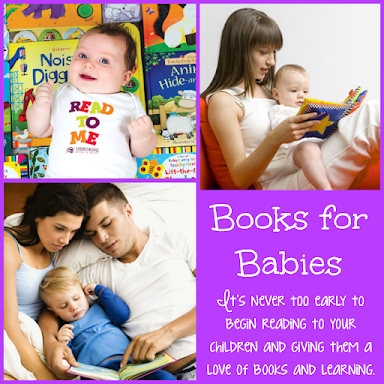 Click for the best books for babies! 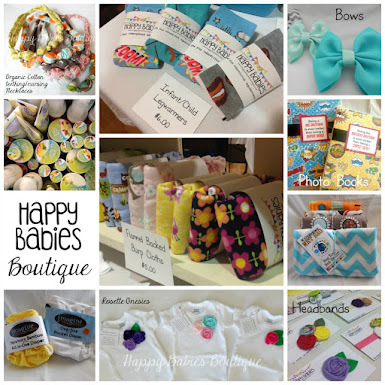 Happy Babies 2014. Simple theme. Powered by Blogger.